April | 2015 | A . T . T . N ! Wiggio is a versatile community-building and collaboration tool recently acquired by Brightspace and fully integrated into D2L. It is especially useful for managing group projects. Indeed, I have been using it for the past few months for that purpose, including organizing the A.T.T.N! blog. For me, the most impressive feature of Wiggio is its wide variety of functions for enabling communication within groups. For example, one can “hold group discussions, assign tasks to group members, poll members, share calendars and schedules, upload and manage [and edit] group files, and communicate using live conference calls, video conferences, chat rooms, texts, emails, and voice mail” (D2L Resource Center). As an instructor, you can set up groups by adding and inviting group members using their e-mail addresses. Or, you can have students set up their own groups with or without the presence of the instructor. In fact, they can do this on their own volition once they have access to Wiggio. It is also possible for students to set up sub-groups within groups which could be useful for group projects. Conference Calls are 50 group members per call // Virtual Meetings are 10 group members per call. Find out more about Wiggio by checking out the D2L Resource Center. Also, WiggioProductions have posted a useful overview video on their YouTube channel. 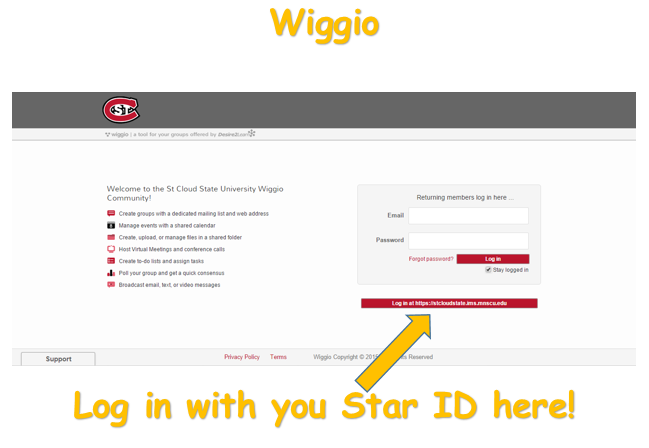 QUICK TIP: When logging in, if you cannot remember the password you created, click on the red banner at the bottom which leads you to MnSCU’s D2L system where you can log in using your Star I.D. Lastly, if you would like the Wiggio component added to one of your classes, please contact us using the tab at the top of the page. Once you have Wiggio set up in D2L, you can simply access it through there rather using the link. Pioneer in online education, Arizona State University (ASU), rocked the boat last week by launching its own version of a massive open online course (MOOC) — a new freshman entry model. That’s right; around the globe, learners will be able to complete a full freshman year of courses entirely online. ASU plans to roll out a dozen or so courses covering the whole gamut of disciplines in what they are calling the “Global Freshman Academy” (Byrne, 2015). As with other MOOCs, the courses are free to take; however, to earn college credit, students will need to pay $200 per credit. The idea is that they will be able to use this college credit to continue their undergraduate studies at either ASU or another university campus that recognizes and accepts the transfer of these credits. Of course, students will not need to pay if they fail or withdraw from the course. This represents a far cheaper (potentially less than one tenth of the cost) and more risk-free alternative to physically going to college. Moreover, SATs and high school transcripts will not be required to gain entry to the courses. Traditionally, MOOCs have attracted learners who already hold college degrees. In what are already stormy waters for higher education, this latest initiative is sure to stir up controversy and raise accreditation issues. A course completion rate of over 85% (usually lower than 10% for MOOCs). High satisfaction rate with 80 to 90% of learners evaluating the teaching and program content as either four or five out of a five. Very high levels of engagement with peers and course materials through program analyses, reflections, and content discussions with peers (via required participation). 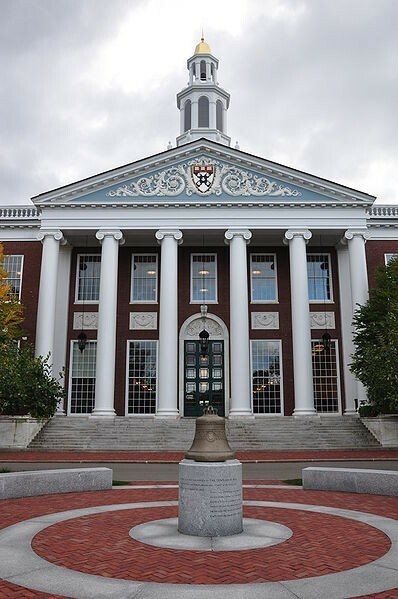 Read the article to learn the principles of collaborative learning that Harvard Business School used in their online course design. How is a company like Netflix able to go toe-to-toe with the Entertainment industry’s biggest enemy — Piracy? Simple: They treat them like competition instead of opposition. 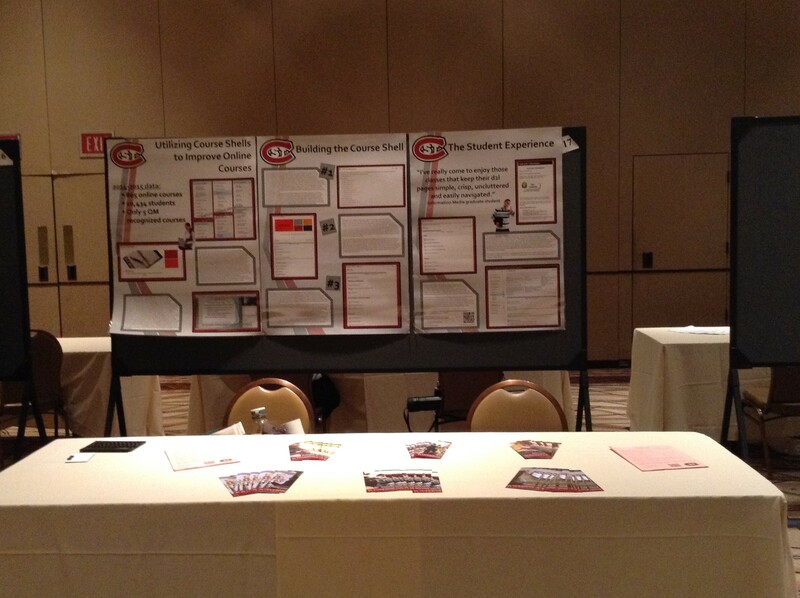 In March, I had the opportunity to present a poster session at the Society for Information Technology and Teacher Education international conference hosted by AACE. The session focused on “Utilizing Course Shells to Improve Online Courses”. Through utilizing a course shell (or template), our online courses had the ability to look more unified. This allowed our students to learn how to navigate the course, find documents, and upload assignments the same way, no matter which course they were taking within the department. The course shell is available for all faculty at SCSU to implement within their own course and was created to follow the Quality Matters rubric. While attending the conference, I was also able to hear how other universities were teaching technology integration to their teacher candidates. The session I found the most interesting was “Coaching for Technology Integration: a Peer Partnership Approach. In this session, faculty members from Houston Baptist University discussed the implementation of a collegial coaching model that helped faculty members integrate active learning and collaborative technology into their teacher preparation courses. It definitely inspired me to think about how we, as a University, could help faculty through a similar model. Last fall, faculty members in the department were awarded a technology improvement grant through the Teacher Preparation Initiative. 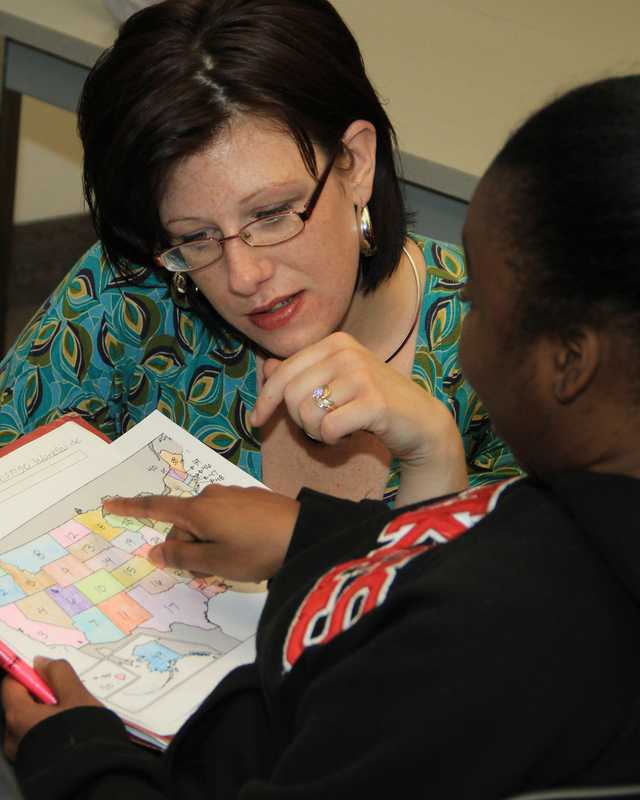 The grant, affectionately known as Power Up!, was written to assist faculty members who teach SCSU teacher licensure courses in fully integrating 21st century skills into their courses. The cohort of faculty members has worked to integrate the ISTE standards into their course syllabi and understand the importance of including 21st (and 22nd) century skills into teacher education courses. Additionally, the cohort has had the opportunity to work cooperatively with IM alumni, Laurie Conzemius, Ryan Cox, Laura Mackenthun, and Mary Waite, who are all practicing Library Media Specialists or Technology Integrationists in P12 schools. These four experts have shared their knowledge of integrating communication, collaboration, critical thinking, and creativity into coursework. Through the experience, we have seen many faculty members excitedly implementing changes and experimenting with more student-centered activities in their courses! The grant will officially end in April with an open house where cohort participants will share their experiences with the School of Education and Teacher Education Unit faculty members, staff, and students. Because of the wonderful enthusiasm from participants, we are hopeful to continue to make progress with technology integration in the School of Education outside of the grant.